Sum 41 have just released “Fake My Own Death,” the lead single from their comback album. The track comes from their first album in five years, titled 13 Voices, which is due out Oct. 7 via Hopeless Records. It will serve as the follow-up to 2011's Screaming Bloody Murder. You can preorder 13 Voices here. 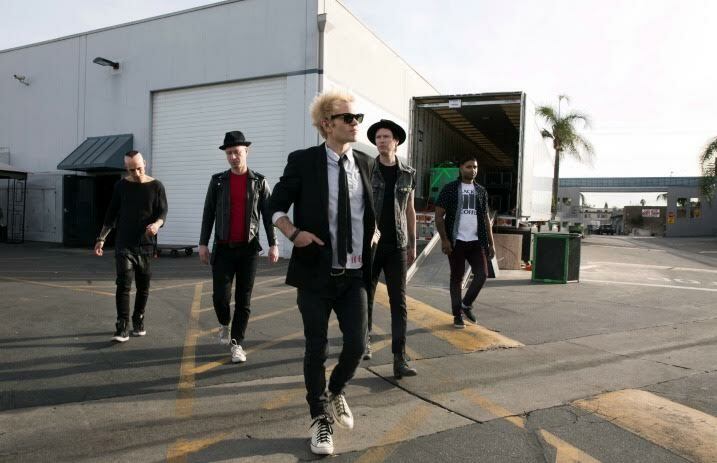 The video for “Fake My Own Death” was directed by Marc Klasfeld, who previously worked with SUM 41 on their videos for “Fat Lip”, “In Too Deep” and “The Hell Song.” The video shows the band performing on a rooftop in downtown Los Angeles, where all their worst nightmares—including Kim Kardashian, Michael Jordan and Donald Trump—come to attack them. Watch it for yourself below and be sure to let us know what you think in the comments!